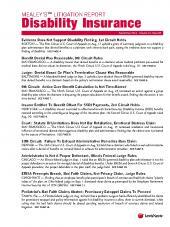 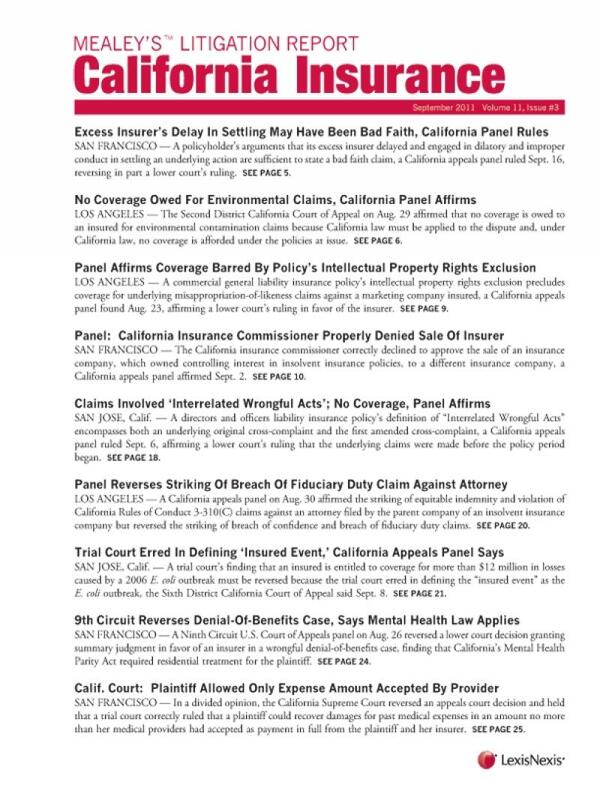 Monthly newsletter focusing on insurance coverage litigation before California courts and the Ninth Circuit U.S. Court of Appeals. 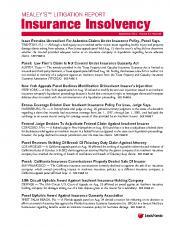 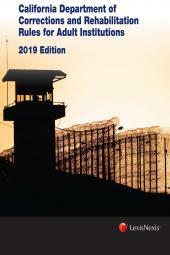 Mealey's Litigation Report: California Insurance focuses on California and federal Ninth Circuit insurance coverage disputes and developments. 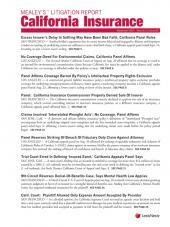 Topics include California developments in bad faith litigation, earthquake damage coverage, disability insurance, products liability coverage, environmental insurance coverage, mold coverage, asbestos coverage, aviation litigation coverage, entertainment law and more.